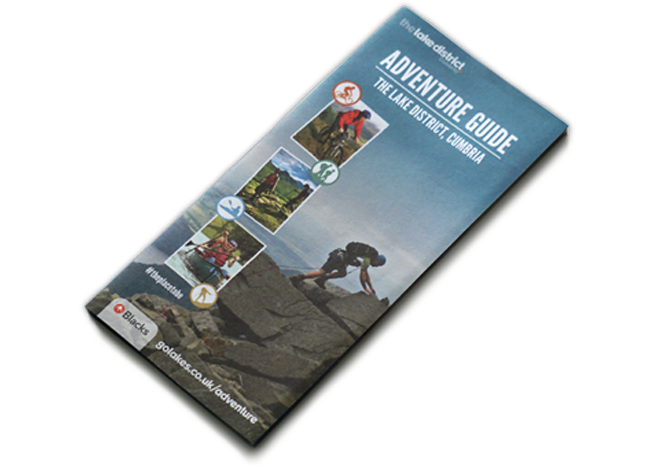 The Adventure Guide is the first of two guides which Designworks is producing for Cumbria Tourism this year. The Attraction’s guide will follow later in 2017. The Cumbria Tourism Adventure Guide showcases what’s on offer for adventure seekers when they visit the Lake District, Cumbria. From an easy walk to a technical climb there is plenty of activities to participate in and enjoy. 40,000 copies of the guide were distributed throughout Cumbria and within a 2-3-hour drive time of the area. The print distribution was fully supported by Cumbria Tourism’s marketing and media activity and is a additional item to Cumbria Tourism’s print portfolio.